CARFAX SHOWS A MINOR INCIDENT THAT MEANS YOU SAVE MONEY !! FULLY INSPECTED AND VALUE PRICED FOR A QUICK SALE !! * Broad range of engine choices; quiet, upscale and well-built interior with a roomy backseat; long list of standard safety and technology features. Source: Edmunds At Mercedes-Benz of Oklahoma City, we pride ourselves in providing a transparent, time-saving, and customized car buying experience. 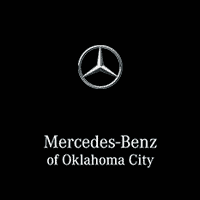 Oklahoma City's only official Mercedes-Benz Dealership! Shop new, used, certified, and pre-owned Mercedes-Benz vehicles from the convenience of your home. Even get a trade-in value without stopping into the dealership. Conveniently located in Oklahoma City on the Broadway Extension, just minutes from Edmond, Moore, Norman, and Yukon. While we make every effort to ensure the accuracy of vehicle information and pricing, absolute accuracy cannot be guaranteed. Information subject to change; for current information on this particular vehicle please contact our staff.CARFAX SHOWS A MINOR INCIDENT THAT MEANS YOU SAVE MONEY !! FULLY INSPECTED AND VALUE PRICED FOR A QUICK SALE !! RETIRED MERCEDES CUSTOMER COURTESY VEHICLE WITH AN ORIGINAL MSRP OF $44,495!! CLEAN CARFAX SERVICED AND MAINTAINED AT OUR STORE SINCE NEW !! BALANCE OF 4 YEAR 50,000 MILE FACTORY WARRANTY !! Clean CARFAX. Dark Brown Linden Wood Trim, Wheel Locking Bolts, Android Auto, Apple CarPlay, Blind Spot Assist, KEYLESS GO®, Panorama Sunroof, Premium Package, SiriusXM Satellite Radio, Smartphone Integration, Smartphone Integration Package, Wheels: 18" Twin 5-Spoke. Black 2018 Mercedes-Benz C-Class C 300 C 300 2.0L I4 Turbocharged Black 2018 Mercedes-Benz C 300 RWD with 1932 miles. 33/24 Highway/City MPG. 2.99% APR for 72 months at $ 15.20 per month per $1,000 financed to Mercedes-Benz Model Year 2018 GLC 300 and C 300. Qualified customers only. Not everyone will qualify. Excludes leases and balloon contracts. Minimum finance term applies. Available only at participating authorized Mercedes-Benz dealers through Mercedes-Benz Financial Services ("MBFS"). Subject to credit approval by MBFS. Must take delivery of vehicle between October 2, 2018 and October 31, 2018. Rate applies only to Mercedes-Benz Pre-Owned model vehicles listed. See your authorized Mercedes-Benz dealer for complete details on this and other finance offers. At Mercedes-Benz of Oklahoma City, we pride ourselves in providing a transparent, time-saving, and customized car buying experience. Oklahoma City's only official Mercedes-Benz Dealership! Shop new, used, certified, and pre-owned Mercedes-Benz vehicles from the convenience of your home. Even get a trade-in value without stopping into the dealership. Conveniently located in Oklahoma City on the Broadway Extension, just minutes from Edmond, Moore, Norman, and Yukon. While we make every effort to ensure the accuracy of vehicle information and pricing, absolute accuracy cannot be guaranteed. Information subject to change; for current information on this particular vehicle please contact our staff.RETIRED MERCEDES CUSTOMER COURTESY VEHICLE WITH AN ORIGINAL MSRP OF $44,495!! CLEAN CARFAX SERVICED AND MAINTAINED AT OUR STORE SINCE NEW !! BALANCE OF 4 YEAR 50,000 MILE FACTORY WARRANTY !! Clean CARFAX. Dark Brown Linden Wood Trim, Wheel Locking Bolts, Android Auto, Apple CarPlay, Blind Spot Assist, KEYLESS GO®, Panorama Sunroof, Premium Package, SiriusXM Satellite Radio, Smartphone Integration, Smartphone Integration Package, Wheels: 18" Twin 5-Spoke. Black 2018 Mercedes-Benz C-Class C 300 C 300 2.0L I4 Turbocharged Black 2018 Mercedes-Benz C 300 RWD with 1932 miles. 33/24 Highway/City MPG. 2.99% APR for 72 months at $ 15.20 per month per $1,000 financed to Mercedes-Benz Model Year 2018 GLC 300 and C 300. Qualified customers only. Not everyone will qualify. Excludes leases and balloon contracts. Minimum finance term applies. Available only at participating authorized Mercedes-Benz dealers through Mercedes-Benz Financial Services ("MBFS"). Subject to credit approval by MBFS. Must take delivery of vehicle between October 2, 2018 and October 31, 2018. Rate applies only to Mercedes-Benz Pre-Owned model vehicles listed. See your authorized Mercedes-Benz dealer for complete details on this and other finance offers.